This week, the good folks at Marcus Fabrics asked us to share a favorite quote with you. I don't often come across lots of quotes, so I don't have bunches saved in a folder to share with you. But...I do have one that I think you'll enjoy. "The creative soul always obsesses." She is so right. Think about it. 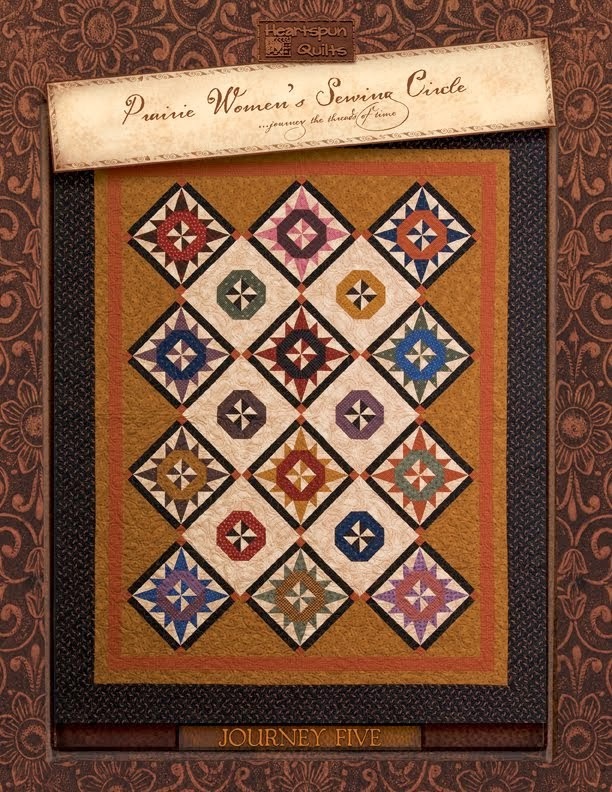 As quilters, you consider and think about the quilt you're going to make. What fabrics will you choose? Should it be this background or that? This border or another? 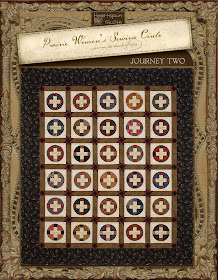 All the while you're piecing the quilt, you are analyzing how it's looking. You know when it's looking great and you know when something isn't working. Do you have it on your design wall to stare at for awhile? 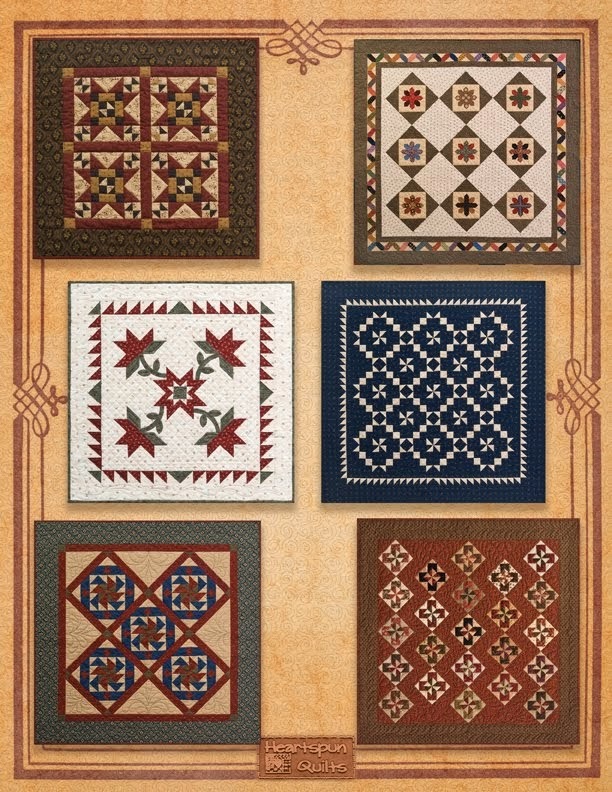 Move the blocks around within the quilt center? Audition sashing and border fabrics? I'm guessing you do and I do, too. Your creative soul is overjoyed when all the components you chose come together and sing a harmonic symphony in your heart, and it resonates as something good and pure, and you know....you just know it's right. The soul can now stop the obsessing and enjoy the work....love what you've created. When Faye said those words to me that day, it was validation for all that I had been feeling. It took away my insecurity and replaced it with knowledge that this happens to all of us when we're in creation mode. It applies to daily life as well when we decorate our home, or plant a flower garden. You rarely have creativity without the obsession, or at least a lot of thought as to how it will look, and what to do to change it. 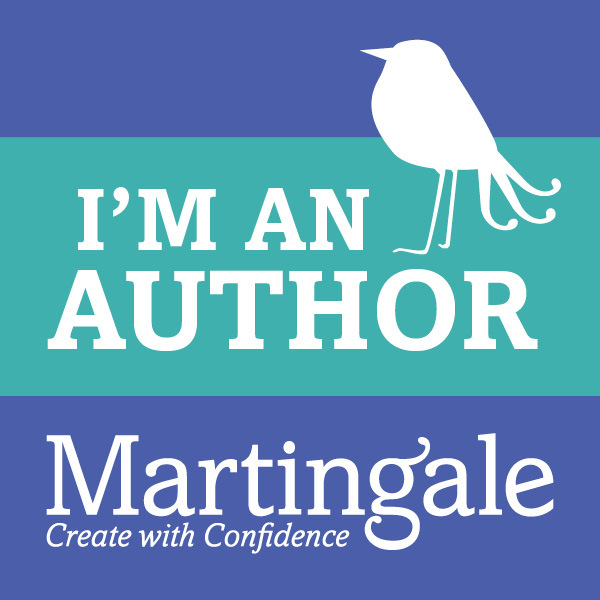 And, it's a good thing, because out of all of that creating, ruminating and obsessing comes our very best work. Can A Dog Love A Quilt? As part of the count down to fall market in Houston, Marcus Fabrics has asked us (designers) to post answers to different questions each week so all of you will get to know us better. This week, they asked us to talk about our pets. Meet Bella, our 7 pound Yorkie. As with most dogs, she thinks we all live in her house, and I also believe she thinks she's a Great Dane. She's loveable, funny and has one heck of a personality. My question for you is....can a dog love a quilt? Bella is sitting on my Love Worn quilt. The plain and simple answer in my house is OH YES!! My husband, Ed, is Bella's favorite, followed very closely by our daughter Nicki. Then our son, Ryan and I'm last. I'm great when no one else is home, but as soon as someone else arrives, she drops me like a hot potato. The funniest thing began to happen several years ago after living through one very cold and snowy Chicago winter. Naturally, we all cover and cuddle under quilts in our house, and Bella loves (I mean LOVES) to sit on my husband's lap, and on top of a quilt. When the weather began to turn warmer, and Ed started to sit without a quilt, Bella began to behave in funny ways....harrumphing and turning in circles.... barking and running to the piles of stacked quilts. She kept this up until it dawned on Ed that she wanted him to have a quilt, and she wasn't going to settle down until he did. That was a long time ago, and to this day, that is how it is. We laugh as he tries to explain to her that it's too warm for a quilt, but she'll hear none of it. Today, when I asked him to pose for the photo above, the moment she heard him sit in his chair, and saw the quilt, she was ready to assume her favorite position....on his lap, with one paw on the arm of the chair. Just like us....dogs like what they like, and somehow they'll make sure you know what they want. Too funny. If there's a quilt on the floor, that's where she'll be. We have lots of fun stuff to share, including sneak peeks at what we will be introducing at fall market! Naturally you'd like to know that! 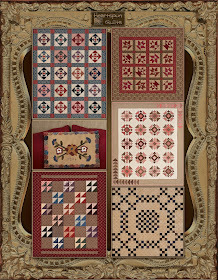 The size is 18" x 20"
Also, there seems to be some confusion regarding the three different kit choices for this quilt. They all have the same blue print, and each version offers a different light print. You have to click on each version to go in and read the details. There, you will see the light print fabric swatch...click on it to enlarge the image, and choose the light print version you like best. 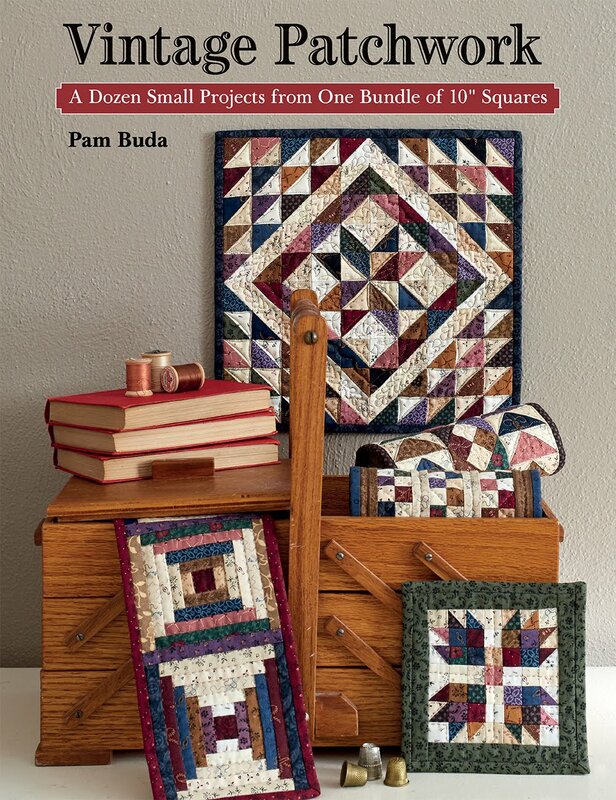 The price for the quilt kit is $42. When ordering, the listed price says $48.75 because it adds the shipping charge. Click here to see all Colonial Star versions. Hope this clears any lingering questions you may have had. My thanks to everyone who already ordered their kit! 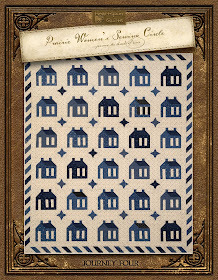 There aren't many left and I'm so excited that you like my first Limited Edition doll quilt!! Because of your generous business, it allows me to keep making quilt designs for your stitching pleasure. I'm very grateful to all of you! 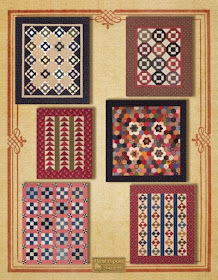 Introducing A Very Special Quilt Series! 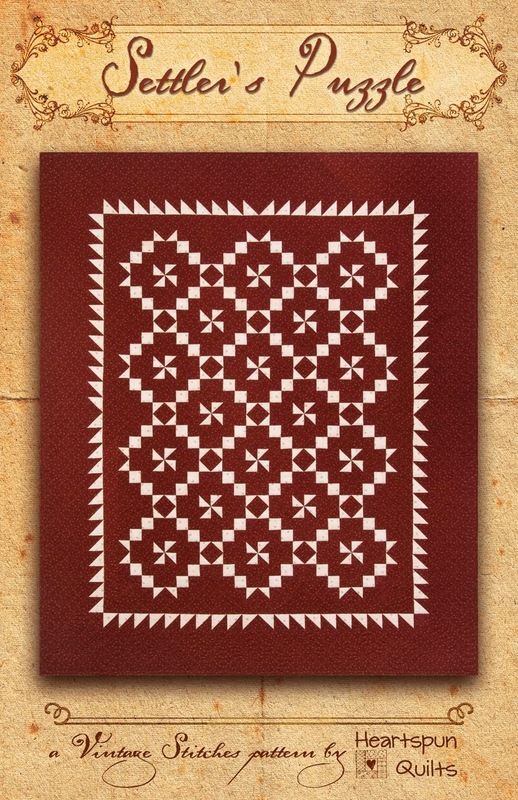 This will be a series of LIMITED EDITION quilt kits. 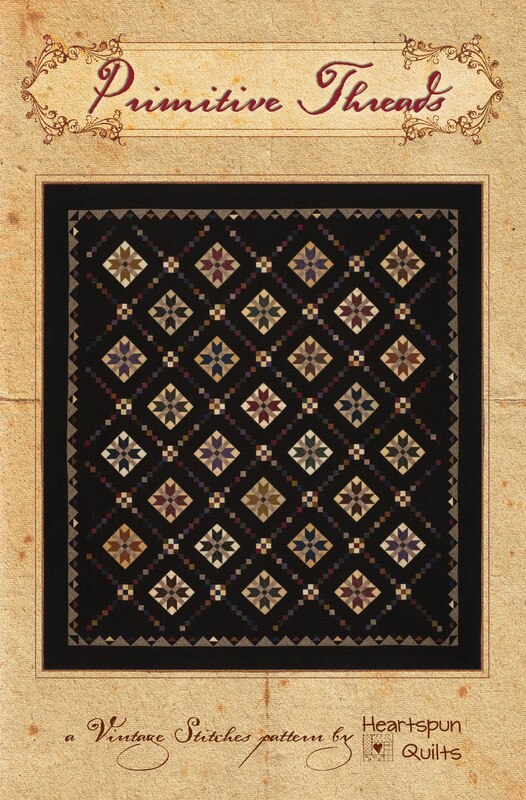 I'm always thinking of new designs, or inspired by a vintage quilt, and sometimes, they don't fit into something like a Tokens of the Past series. So, why not offer them as a Limited Edition? Colonial Star is ready to ship today and is only offered as a kit. 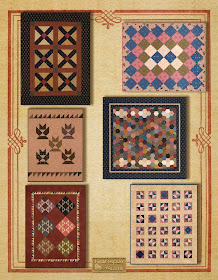 I'm sorry, but the pattern alone is not available as I am saving the Limited Edition quilts for a future book. 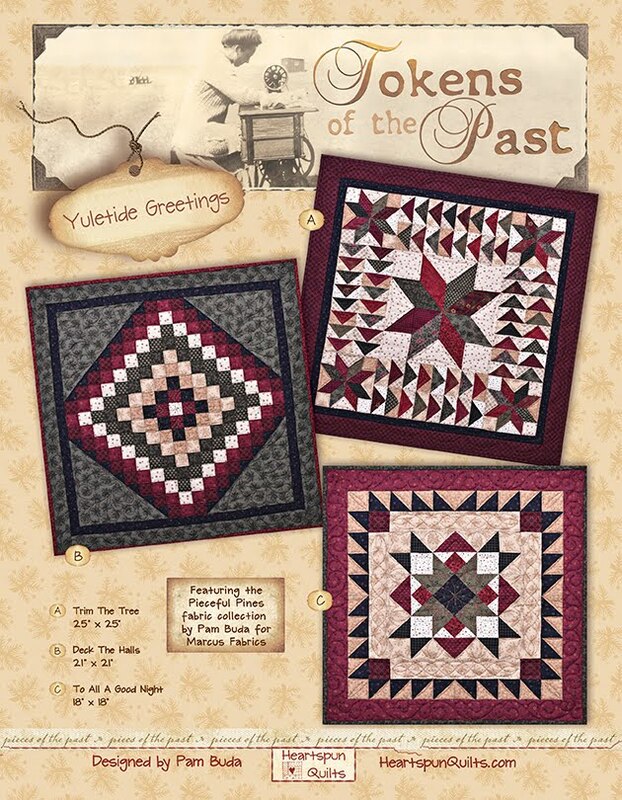 The Colonial Star kit includes the pattern with color photo, all of the fabric for the top, binding and backing for just $42.00! There are three fabric combinations to choose from, all with the same sweet blue print, and three different choices for the light print. Once the kits are all gone, so too will Colonial Star until sometime in the future. 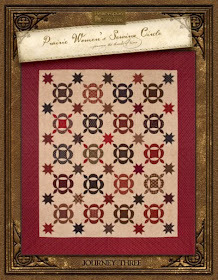 I'm already working on a new Limited Edition quilt to offer, so stay tuned to my blog for news. 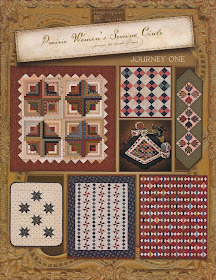 Click here to view all of the Colonial Star kit variations. Remember, quantities are very limited, so if you're interested, don't delay! I'm off to finish Sunday dinner and get ready to do some sewing while I watch the Emmy Awards. Wishing you a restful evening. 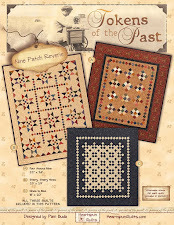 It's mid-September and that signals the return of Quilt Market Madness! Fall market preparations have been in full swing for some time now, and we're getting down to the last few weeks before market, which I call market crush. There are many new and exciting things in the works from all of the designers at Marcus Fabrics and we thought it would be fun to share some of the pre-market "goings-on" with all of you these next couple of weeks. While I do adore red, I am very particular about the shade and tone of my reds. Nothing too bright, nothing too orange-y. I adore warm, cozy reds with cranberry as my favorite shade of all. Red is not the only color I love. Blues, greens, browns, and black prints are used often and I'll thrown in dusty and muted purple, pink and gold here and there. Light prints are in a category all their own, don't you think? Love, love, love shirtings, and a wide variety of beige colored tone on tones, oh and light prints of all kinds. While looking for fabric at a quilt shop, I look at the light prints first. We can always use another light print, right? A quilter just can't have too many lights!! I don't do white at all. I like to say....nothing white on the prairie stayed white for long! Each of the Marcus Makers designers will be posting their own fun facts as we work our way to this exciting event. Be sure to return here to see what we have to share with you next week! And.... I would like to add a big Thank You to YOU for being a loyal Marcus Fabrics customer. 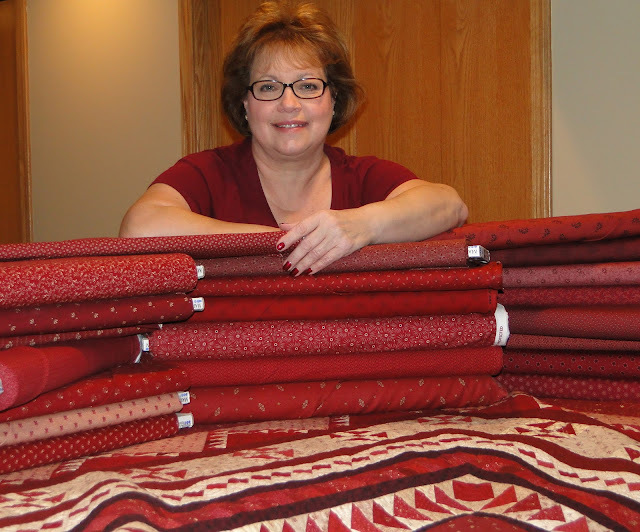 We sure appreciate your support which allows us all to keep bringing you great fabrics and inspiring projects. 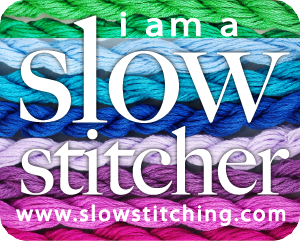 It's been awhile since I wrote about making sure to find time to sew everyday...no matter what, and thought I'd check in with you all and see how you're doing with this mission, and share how I've been doing. 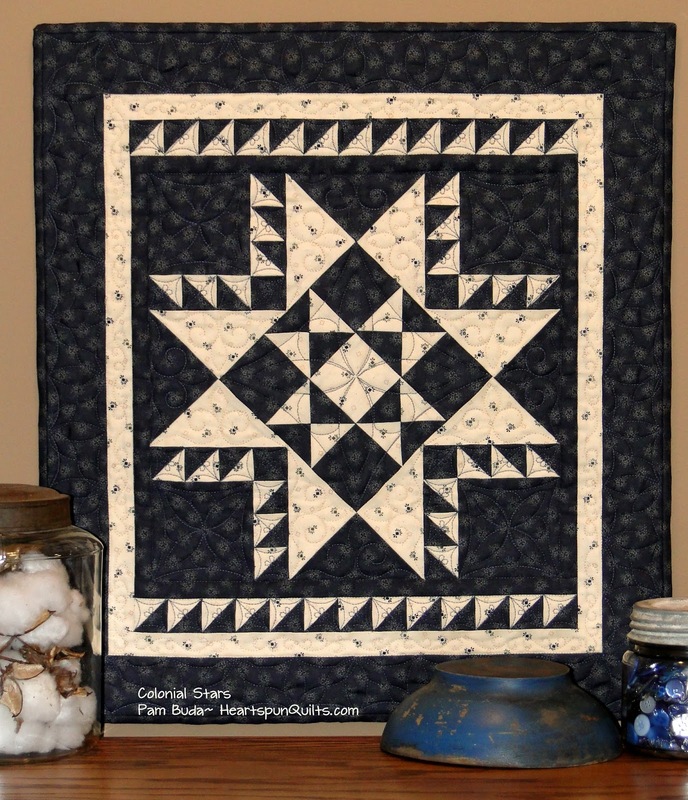 Sometimes, we do what seems to be a crazy thing, and just when I was admitting I have very little time to sew, I went a really did something crazy, and signed up for Lisa Bongean's Summer Block of the Week (SBOW) called Clara's Stars. It was love at first sight. I tried hard to resist, honest I did, but I just had to make this quilt!! Yes....lots of blocks to make each week for 12 weeks over the summer. I'm hooked! I'm smitten! I can't stop!!! I cut, trace and sew these blocks, and most everything else I am presently working on in the evening while watching TV. I prepped loads of blocks, and popped them into zip bags to take with me while I'm away from home. I pieced a bunch on a trip to Maine, and while I was in Santa Fe, NM over Labor Day weekend. My stitches are getting better and better with each block. I delighted to say I'm a hand piecer now, and will likely hand piece until I can't hold a needle anymore. I'm still working on tiny little Nine Patch blocks and better step it up because I need it completed for a Christmas gift. And, I managed to hand applique another basket block (block 110). Both the block background fabric and the basket fabric are from my new Old Plum Calicos collection. 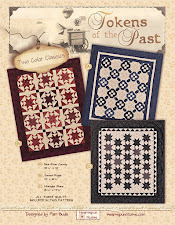 Oh, and the black fabric underneath is also new from Conestoga Crossing. Love, love, love the black fabric!!! How about you? Are you making time to sew something each and every day? I think I'm doing pretty well considering before pledging to this mission, I wasn't sewing very much at all. 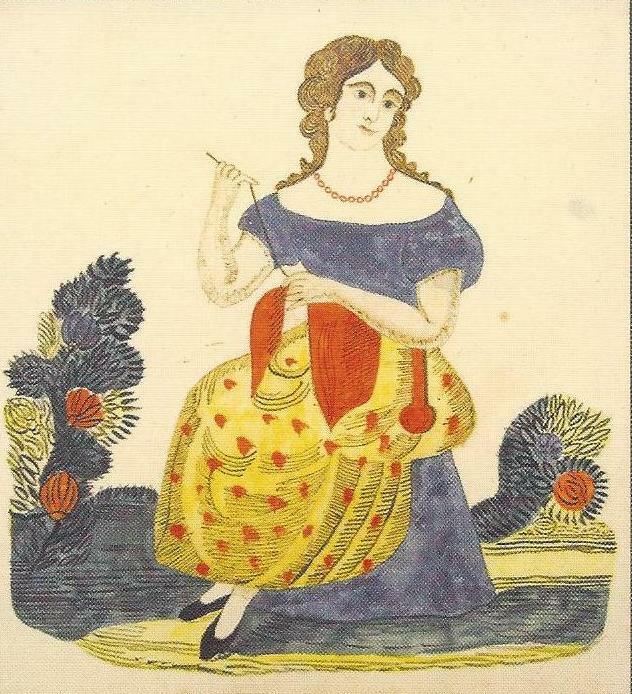 Hoping we all find some time to sew something everyday. It's so very good for us in so may ways!